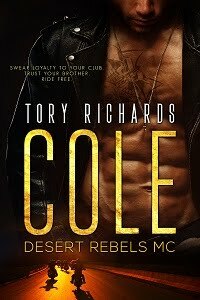 TORY RICHARDS: Phantom Riders MC - Hawk teaser! Phantom Riders MC - Hawk teaser! This little scene takes place in the ladies room at a rest stop. I crossed my arms and waited for her to open the stall door. When she did she saw me, jumped, screamed, and slipped her phone into a pocket. Our eyes met, hers were round and filled with guilt. “The men’s room out of order?” she asked with a nervous smile. “Who’s Dane?” I’d heard the name before but couldn’t place it. I was getting tired of her abrupt, flippant responses that didn’t really say anything. Kicking away from the wall, I walked her backwards against the same stall door she’d just exited. She gasped, her eyes growing large as she looked up at me. When her back came up against the door she tried to shrink away from me but there was really nowhere for her to go. I towered over her and held her captive without actually touching her.